Huawei took to the stage this week to reveal the Mate 20, Mate 20 Pro and Mate 20 X, three devices that, as a continued mobile industry trend, double up as both a phone and tablet. But in a somewhat outlandish move, the Chinese company chose to compare the Mate 20 X with the Nintendo Switch in the press conference, rather than against their more direct competitors in the market. 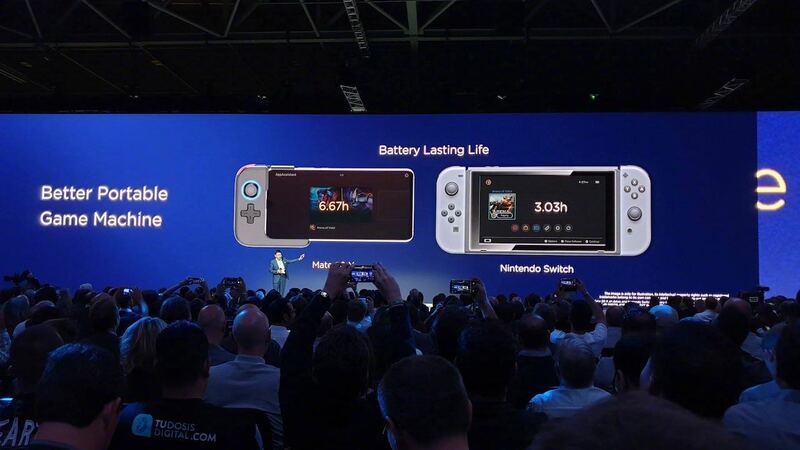 Huawei tried to reason that not only does the Mate 20X’s 7.2-inch screen display at a 1080p resolution compared to the 720p that Nintendo’s 6.2-inch screen can achieve, but the battery lasts longer when playing Arena of Valor – 6.67 hours on the Mate 20 X compared to 3.03 hours on Nintendo Switch. The company has even gone as far as to create a “perfectly-matched Gamepad,” a plug and play controller with an analogue stick and d-pad that connects to the base of the Mate 20 X – a move that essentially starts to turn it into a Nintendo Switch. The Huawei Mate 20 X will release on October 26th priced at €899.